‘ .. a brilliant novel.’ Little words. When ambitious Doctor Paul Clément takes a job at the mission hospital on Saint Sébastien, he has dreams of discovering cures for tropical diseases. What he finds is a place where the black arts are just a way of life. After witnessing the ritualistic murder of a young man, said to be one of the living dead, he is forbidden to speak of what he has seen. On returning to Paris, Clément’s attention turns to studying the nervous system and resuscitation. He is told of patients who have apparently died, been brought back to life, and whilst suspended between life and death, experience what they believe to be heaven. Clément attempts a daring experiment in order to confirm these extraordinary reports, but the outcome is wholly unexpected. Could it be that when he is resuscitated, he brings something back with him – an ancient evil, so powerful that it can never be destroyed? Is the good doctor slowly succumbing to madness, or has he really passed through the gates of hell? 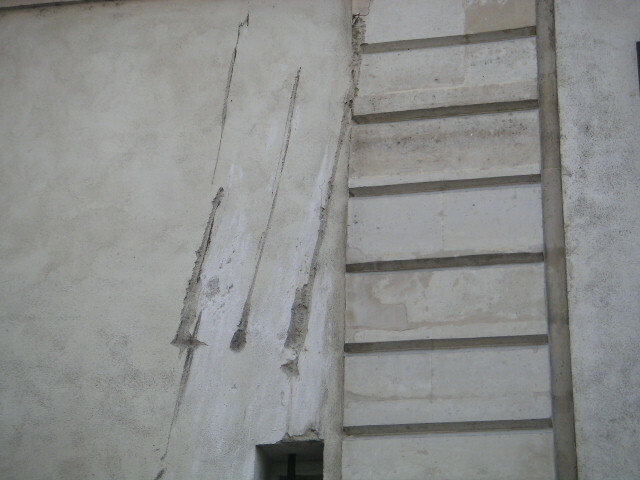 On the 6th of April, 2007, I was walking across the Isle Saint Louis in Paris, quite close to the cathedral of Notre Dame, when I passed a wall on which I saw three deep gouges. The pattern suggested (to me at least) the swipe of a giant claw. At once, the plot of a horror novel started to take shape in my mind: a sprawling, supernatural adventure set in late 19thcentury Paris featuring lost books of magic and demons. 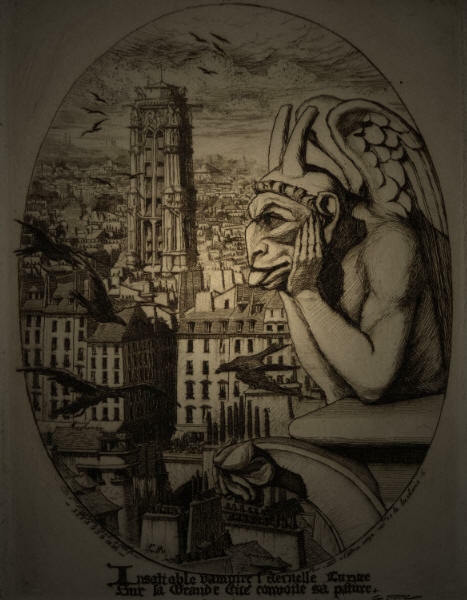 I have no doubt that the closeness of the great cathedral, famous for its gargoyles, helped to fire my imagination, as did the book that I was reading at the time, La Bas by J.-K.Huysmans (a startlingly ‘modern’ fin-de-siècle classic about a man being drawn into the world of devil worship). When I got back to London I was keen to start work on my ‘French’ horror novel, but was prevented from doing so by a relatively benign obstacle. I was offered a three book deal to continue writing a detective series. Subsequently, I had to wait until 2010 before I was free to make a proper start on my suspended project. Although frustrating, this long delay proved very useful. I was able to undertake a great deal of research and discovered many things about Paris and the cathedral that influenced the development of my story. The relationship between the cathedral of Notre Dame and all things demonic is long and curious. The Celtic tribe who worshipped on the Isle de la Cité produced a conspicuous number of demonic figures. When the present cathedral was built, replacing its 300 year old Carolingian predecessor, stone for the construction was taken from beneath the Rue d’Enfer or Hell Street (which an old prophecy identified as the site of an infernal abyss). In 1711, workmen digging beneath the choir discovered four altars, one of which bears the image of a horned god. Above the north door, there is a relief illustrating the legend of Théophile, who, like Faust, sold his soul to the devil in exchange for earthly power and influence. In due course, Théophile repented and prayed to the Blessed Virgin for forgiveness. 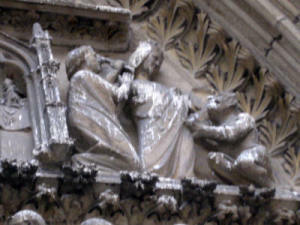 Mary is depicted, more as a warrior princess than the mother of God, coming to Théophile’s aid and bringing the devil to his knees. The cathedral is most famous, however, for its gargoyles. Apparently, before restoration work began in the 19th century, they were so numerous, that it was not uncommon to see them falling from their perches and shattering on the streets below. Today, when tourists climb the north tower to inspect the gargoyles, what they are really going to see are the chimeras. Strictly speaking, a gargoyle is an ornate water spout. The chimeras are purely decorative statuary and have no practical function. There are fifty four chimeras – devils, ghouls and monsters – ranging from the vaguely comic to the truly terrifying. They appear to be the work of a medieval stone mason, but none of them are authentic. What tourists flock to admire, are, in fact, recreations by the architect Viollet-le-Duc, installed between 1843 and 1864. One of these chimeras has become something of an icon. The image of a melancholy, lascivious creature with horns and wings, wistfully looking out over Paris, is reproduced all over the world, and has come to represent the archetypal, brooding demonic presence. Unlike most of the other chimeras, this striking embodiment of evil has acquired a name. The artist Charles Méryon (who died in a lunatic asylum) produced a celebrated etching of the ‘melancholy demon’ called ‘le stryge’ (or the strix). It was not a name chosen randomly and has a very specific meaning. The striges are flying creatures that appear in Roman mythology. Seneca the younger tells us that they inhabited the outskirts of Tartarus, a place of torment beneath the underworld. They also drank blood. It would seem that the striges served as a prototype for what we would now call a vampire. (The term vampire didn’t enter the English language until 1732, and it is probably a variant of the Romanian strigoi which betrays its Roman provenance more readily). When Méryon made his etching of the melancholy demon, he was able to identify it as a strix because of its long finger nails. Fangs were a late 19th century addition to vampire lore and, if you think about it, not very practical. A thirsty demon would want to gulp down more blood than can escape from two small puncture wounds. In fact, contemporary representations of the vampire are almost entirely the result of 18th and 19th century folktales and fiction. Long before Dracula raised his cape and bared his fangs, the vampire was a demon. As my research progressed, it became steadily clearer what I wanted my novel to achieve. Over the last century or so, the vampire, the ultimate nightmare, an evil feared for thousands of years, has become increasingly sanitised – particularly so over the last two decades. Primordial malevolence has been dandified and disempowered. This immortal terror from the depths of hell has been personified as a lounge–lizard aristocrat, a teenage heart-throb – and even worse, a cartoon for small children. What I wanted to do in my novel was to reverse the trend. I wanted to write a vampire novel for grown-ups. I wanted to pare the vampire legend back to its medieval and ancient roots and discover if – paradoxically – this would produce something new, a fresh treatment. 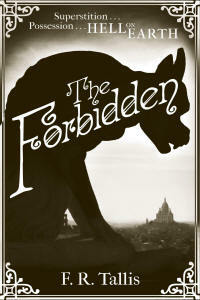 Being true to my objectives necessitated the production some fairly graphic writing, so much so, that I was politely asked to remove several passages from the first draft of THE FORBIDDEN. On reflection, I accept that I may have been over-zealous in my attempts to reclaim the vampire for an adult readership. Even so, what survived the editorial process, is, I hope, a sufficient demonstration of the virtues of getting back to basics.